Jeff Schumacher, the founder of BCG Digital Ventures, has predicted that the value of bitcoin could go as low as zero. As one of the top investors in the crypto arena, Schumacher said that bitcoin could be at risk especially since there are still doubts over the actual value of the currency. Cryptocurrencies had a wild and challenging 2018. CoinMarketCap estimated that the market lost around $480 billion worth of value. This is after the industry accomplished a record high in 2017. The following year was a different story. Bitcoin, the largest cryptocurrency in the world by market capitalization, took a nosedive. 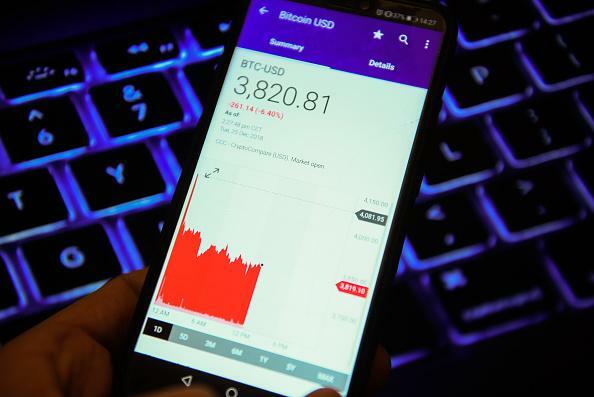 On Wednesday at around 1.15 a.m. London time, the cryptocurrency was trading at $3,571. And now Schumacher thinks the value could dive deeper. “I do believe it will go to zero. I think it’s a great technology but I don’t believe it’s a currency. It’s not based on anything,” Schumacher, a well-known investor in the blockchain sphere, said during a CNBC-hosted panel in Davos, Switzerland. Meanwhile, Glenn Hutchins, chairman of North Island, pointed out during the debate that the role of bitcoin in the future may be to store value. Brad Garlinghouse, CEO of Ripple, along with Partner Edith Yeung of 500 Startups and other panelists agreed with him. Their interest lies more on the underlying blockchain technology. “I am much less interested in investing around bitcoin as a currency unit or a currency equivalent, or even the blockchain as an accounting ledger. I am thinking much more about the protocols. In other words, what is the underlying protocol going to do as a consequence of which, which tokens are valuable or not,” Hutchins added. In other news, Lightning Network payments reportedly surpassed altcoins. Many consider the Lightning Network as bitcoin's response to the low transaction fees of altcoins. More importantly, the protocol has been regarded as a potential avenue to showcase the best of both worlds. It can offer better payment liquidity and functionality. The recent milestone supports theories about the potential of Lightning Network to replace altcoins as a means for cheaper transactions.